Whitney Houston has joined the list of our society’s ever diminishing cultural icons. We’ve already lost Etta James and Micheal Jackson, to name a few. 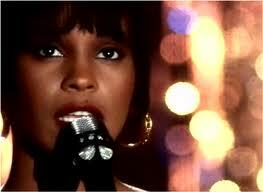 Growing up, i and those of my generation listened to Whitney’s music which was always uplifting. In her most productive era which was the early nineties, Whitney’s status as a celebrity transcended those of so many because she was a beautiful, graceful diva who used her angelic voice to soar to heights others could only dream of. Her voice became the industry standard for all aspiring female vocalists who came after her. Whitney had poise, a quality that propelled her into the arms of Hollywood and thus she came to personify the wishes and aspirations of many young women. But what i remember most is the quality of her output, the range of her voice, it’s power, her songwriting and her ability to channel her emotions and experiences into art and to put it out as timeless music. She had enormous hits from “how will i know”, “am your baby tonight”, “i will always love you”, and the “waiting to exhale” and “The bodyguard” soundtracks. Such were the gifts of Whitney Houston. I was saddened to learn of the drug-addled end to which she came. She was found unconscious in the bathtub. Such a lonely end. Here’s how i choose to remember her: by resolving to use my time well and reaching out for help when i feel i am being crushed by the monster. We will always remember you Whitney, Rest In Peace.